Lady Montdore drops down to G3 company for the US$400,000 Long Island Stakes over a mile and three furlongs on turf at Aqueduct, USA, on Saturday, 24 November. 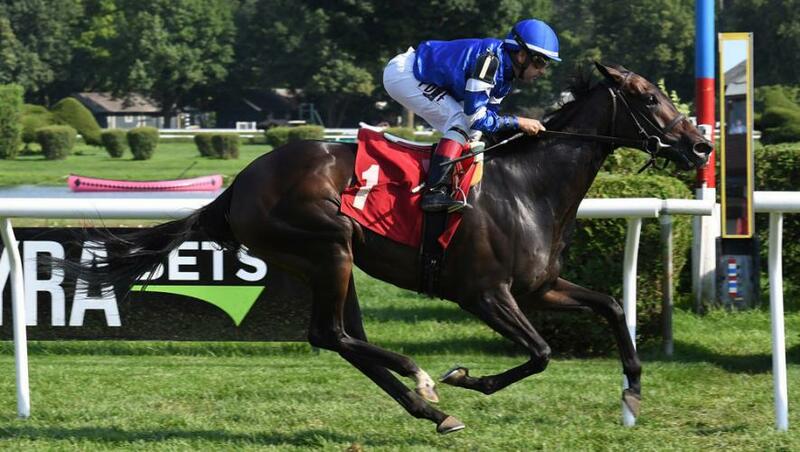 The four-year-old Medaglia d’Oro filly, trained by Tom Albertrani, kept on to come home a clear third in the G1 Flower Bowl Stakes over a furlong shorter at Belmont Park on 7 October. Lady Montdore, partnered by Manny Franco for the third successive time, breaks from stall two in the field of 11 that also includes Danceland and Tricky Escape, who were fourth and sixth in the Flower Bowl Stakes, plus G1 German Oaks runner-up Night Of England. Tom Albertrani commented: “Lady Montdore didn’t have a great trip in the Flower Bowl Stakes, when she never really got into a good rhythm as there was a lot of cat-and-mouse going on along the back straight. “A lot depends on what the ground will be like with the weather as it is, but she seems to handle soft ground quite easily, so I wouldn't mind if it came up a little on the soft side.